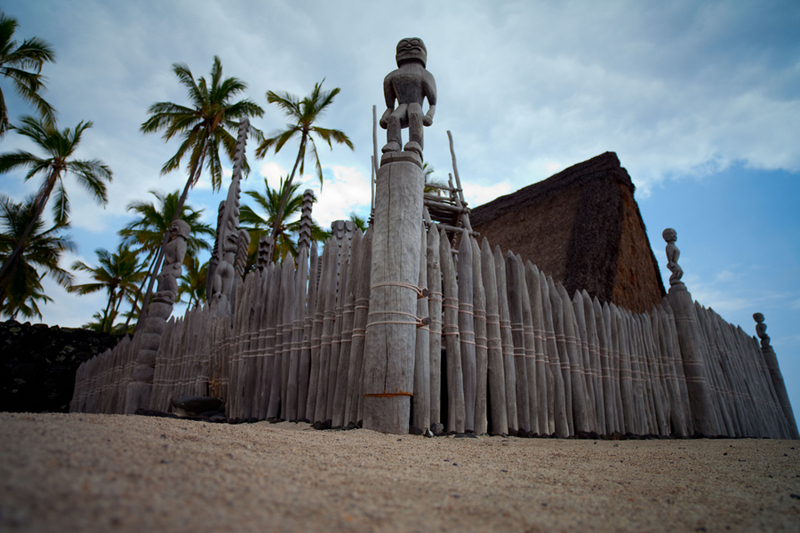 What are some of the rules you need to keep if you visit a heiau? Do you know of any heiau near your home or school? Have you ever visited a heiau? If so, what was it like to be there? What are some of the different types and functions of heiau in Hawaiʻi? Many heiau are old structures from hundreds of years ago. Should they be protected as sacred places? Should everyone be allowed to enter heiau? Who should be in charge? Ask some of the older people in your ʻohana about heiau. What are their experiences and perspectives? If you wanted to learn more as a family, how would you go about it? Ka nīoi wela o Pākaʻalana. The burning nīoi of Pākaʻalana heiau. Wood of the nīoi was used for part of the Waipiʻo Valley heiau on Hawaiʻi Island. To tamper with the wood in places of worship is to invite trouble. You have mana. Mana is spiritual strength and power. It’s present everywhere. Ocean waves have mana. Fish have mana. A prayer has mana. Mana can flow among people, places, things, and even through thoughts. One place where mana is concentrated is at a heiau. Heiau are places where people worship traditional Hawaiian akua (gods) and ʻaumākua (family gods). Heiau help to strengthen the relationship of people to these gods. 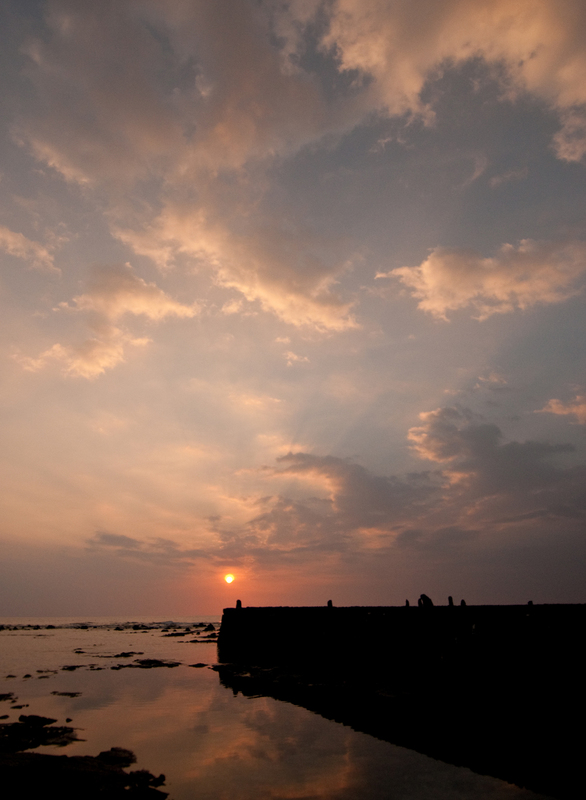 Because the gods are part of nature, heiau strengthen people’s relationship to the environment. The gods oversee various activities, and so prayers at heiau may be given to be more successful in an activity. How is mana strengthened at heiau? People receive mana from their akua and ʻaumākua, often at heiau. People also gain mana by treating others and their environment well. At heiau, people give pule (prayers), mele (chants), and ho‘okupu (offerings). These offerings strengthen the mana of the akua and the mana of the people who offer them. The mana of the heiau itself is also strengthened by these offerings, and also by the gods who are present at the heiau. The akua may be present in various forms—their spirit form, their kinolau (body forms), or their kiʻi (wooden image). What can we learn from pule at heiau? As people offer pule and mele at heiau, the wisdom and knowledge in the words are a reminder about the nature of the gods, how to treat the gods, and how to behave appropriately. In these ways, worship at heiau helps people to live good lives. How are kinolau and hoʻokupu related? Kinolau can be plants, animals, or elements in nature, such as water or fire. Plant and fish forms of kinolau are frequently offered as hoʻokupu at heiau to the akua and ʻaumākua in appreciation and as a means to strengthen their connection to the heiau. Were there heiau for surfing?! In traditional times, kūpuna (Hawaiian ancestors) worshipped at many different heiau. There were heiau for farming, fishing, hula, kapa making, bird catching, surfing, and other aspects of life. Some heiau were for personal worship of ʻaumākua. The largest heiau were the luakini. These were used by the highest chiefs in seeking guidance for the peace and prosperity of their nations. Because there were different heiau for different purposes, there was great variety in the shape, size, and location of heiau. Some were small, simple structures and others were large terraces, platforms, or areas enclosed by walls. Most heiau were built of stones. Heiau were found in upland forests, on mountainsides, along shorelines, or even in the ocean. 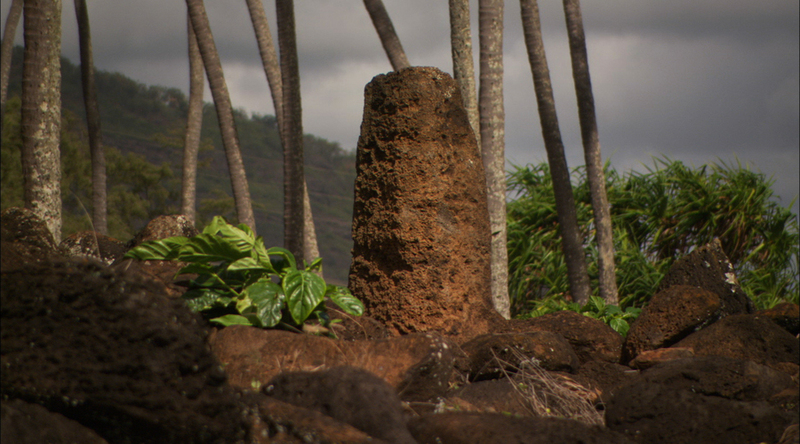 A main feature of each heiau was an altar where the hoʻokupu could be placed. 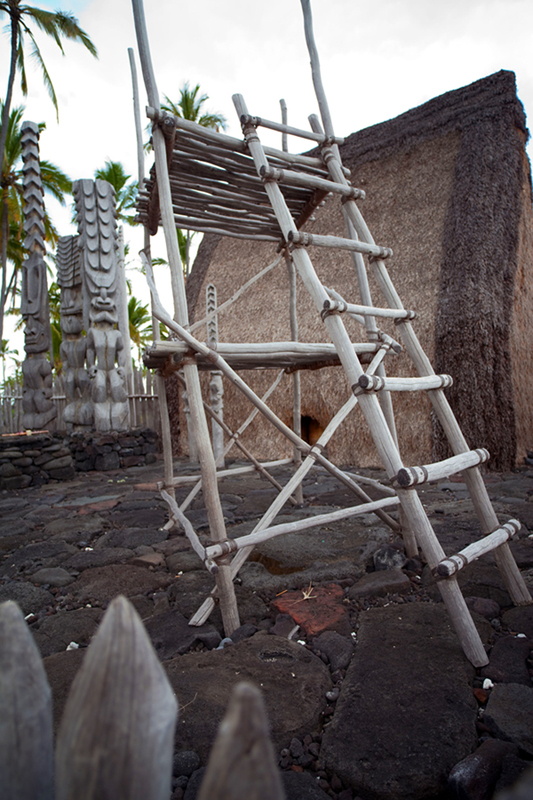 Larger heiau included other structures and prayer towers used in the ceremonies and daily activities. One such structure was the hale mana, where some of the most sacred activities occurred. Another structure was the hale kiʻi, where important kiʻi were well kept. 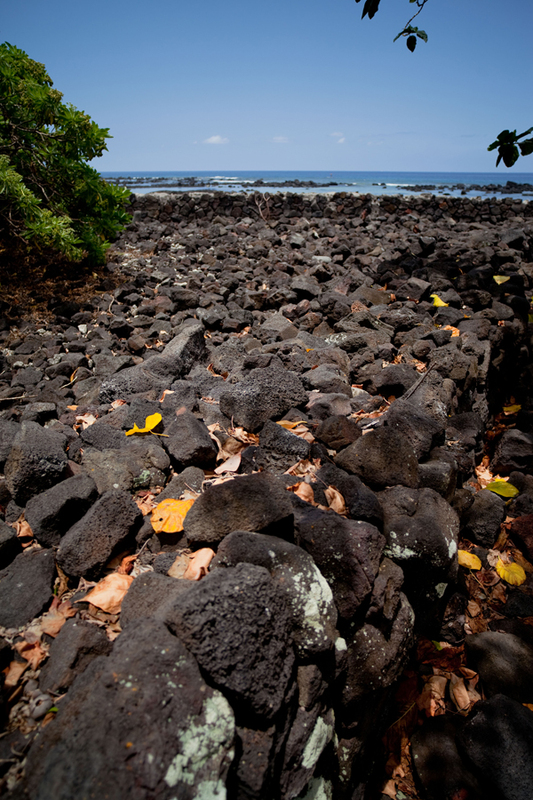 People would line up side by side and pass stones from hand to hand to move the stones to where a heiau would be built. Sometimes the human lines stretched for several miles! How are heiau used today? Heiau are important sites where people gain strength, guidance, and inspiration. Each stone in a heiau was placed there by our kūpuna hundreds of years ago. So when we look at heiau, we see our kūpuna. We see their hard work and unity in clearing and building these sites. And we see something that, with proper care and respect, will last long after us. Unfortunately, many heiau have already been destroyed. The destruction was caused by people, large animals, and natural forces over the years. Most heiau have experienced neglect. However, some heiau are still functional. The heiau called Hāpaialiʻi and Keʻekū in Kahaluʻu, Hawaiʻi, have recently been restored. Community volunteers and the owners of the land under Kāwaʻewaʻe Heiau in Kāneʻohe, Oʻahu, regularly remove brush from the site. As in the past, heiau today provide a sacred space for the strengthening of mana and relationships. Looking closely at the walls of a heiau, we see that no cement was used in its construction. So how do the rocks stay in place? Each other. Each pōhaku is dependent on those around it. Without the solid rocks on the bottom, the rocks on top would topple over. Without the smaller rocks in the spaces between the larger rocks, the larger rocks would fall out of place. It is their relationship with each other that keeps them together. We may draw similarities between the pōhaku and visions for our people—strength, unity, continuity, and aloha ʻāina (love and devotion to the land). Like the pōhaku, we each have mana. How will you use yours?